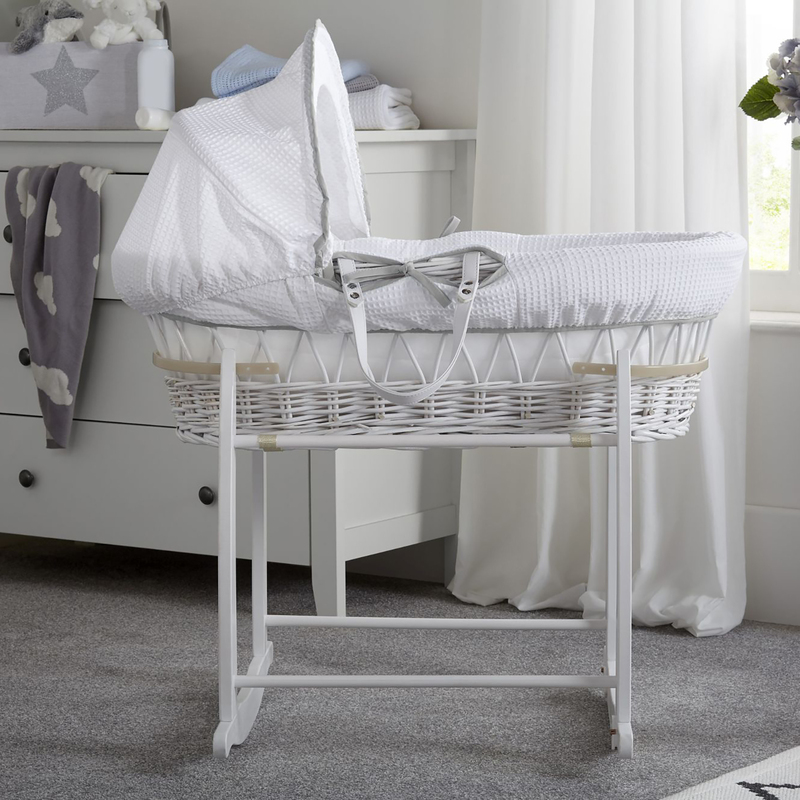 This stylish Clair De Lune white wicker moses basket is both crisp and fresh and is the perfect place to house your new arrival. 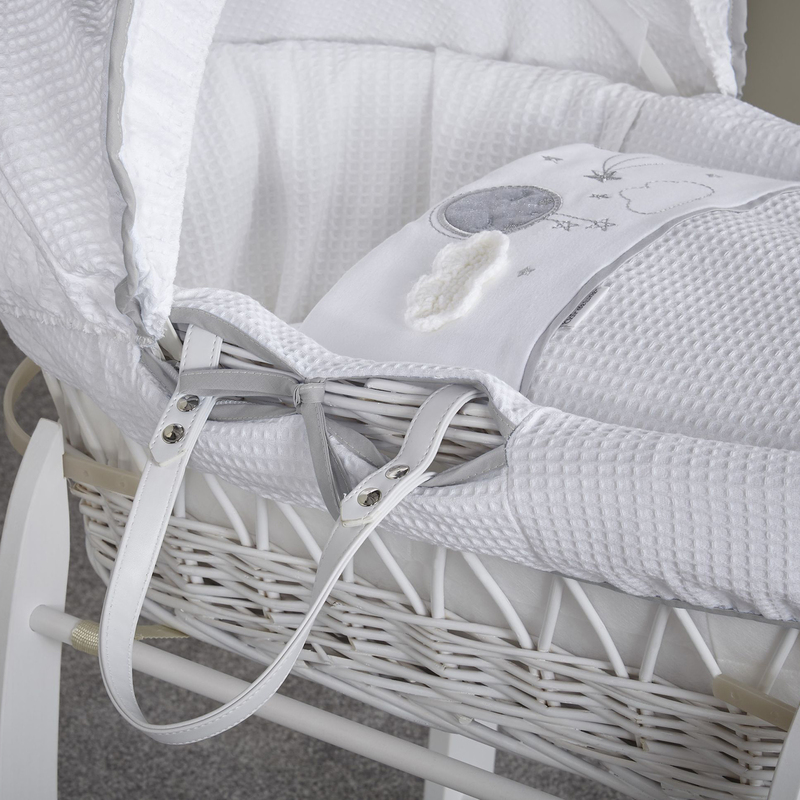 Made with top quality natural wicker with leather handles, the moses basket is lightweight and also comes complete with safety mattress, co-ordinating hood, quilt and a padded liner for increased comfort and security. 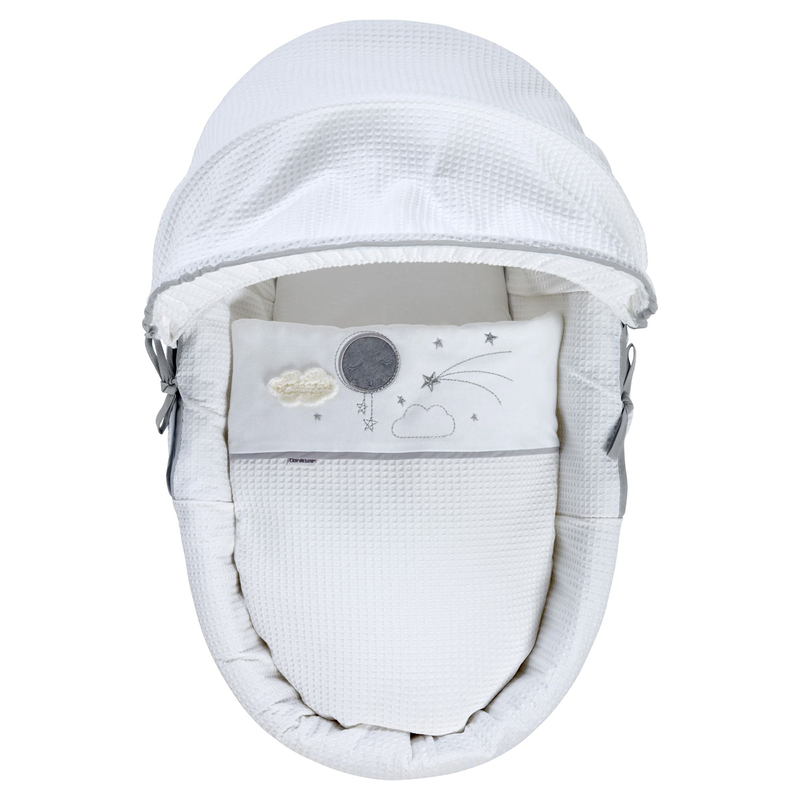 The ‘Over The Moon’ design provides you with soft cotton waffle fabrics, adorned with a beautiful crotched cloud appliqué with star and sleepy moon prints. Handmade with love and ideal for any child’s nursery!